NewDEAL Leader Iowa Senator Jeff Danielson penned an op-ed this week on the impact tariffs will have on American jobs, especially Midwestern manufacturing, to argue that tariffs are not the right answer for economic growth. Read his op-ed to learn about the innovative policies that NewDEAL Leaders are implementing that do offer the opportunity for real economic growth and a better future for workers. Across the U.S., cities are taking the lead on working to decrease the barriers to opportunity that formerly incarcerated individuals face after re-entry. Check out some of the policies adopted by the 12 mayors in the Center for American Progress' Mayors for Smart on Crime initiative, including work from NewDEAL Mayors Karen Freeman-Wilson (Gary, IN), Michael Hancock (Denver, CO), Michael Tubbs (Stockton, CA), and Nan Whaley (Dayton, OH). 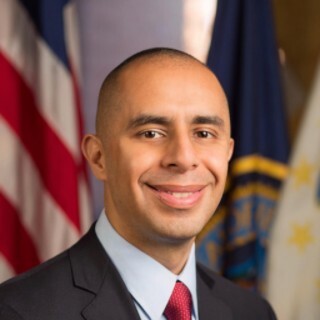 NewDEAL Leader Providence Mayor Jorge Elorza announced a new voluntary energy savings program to help the city meet its climate goals. RePowerPVD calls for owners of large buildings to opt into a 20% reduction of energy use by 2025. Learn more about the program, which Mayor Elorza notes will also help owners reduce costs and improve marketability.